Marked as US Marines "Marines/12"
Marked as USN "Marines 80390/D3"
Marked as USN "USN 80411/BP7/King of the Cats"
Marked as US Marines "Marines 80425/WT4"
Marked as US Marines "Marines RB14"
Marked as US Marines "Marines 80503/RW/Big Bossman". Marked as US Marines "Marines 80532"
Calvin J. Butler/Butler Farm Air Service, Redmond, OR, 1963-1966. - Flew as tanker #F18 (later #18). - TBM Inc, Tulare, CA, 1969-1980. - Flew as tanker #E63. National Museum Of Naval Aviation, NAS Pensacola, FL, 1980-2002. Cal-Nat Airways Inc, Grass Valley, CA, 1966-1969. - Flew as tanker #E62 (later #E41). Sis Q Flying Service, Santa Rosa, CA, 1969-1981. - Flew as tanker #E41. USMC Museum, MCAS Quatico, VA, 1981-1991. Darryl Greenamyer, Ocala, FL, 1991. Icarus Investments LLC, Tucson, AZ, July 2001. USMC Museum, MCAS Quantico, VA, 1976. Pima Air & Space Museum, Tucson, AZ, Oct. 1987-1988. USMC Museum, MCAS Quantico, VA, 1975. USNAM, NAS Pensacola, FL, 1975-1985. - Trucked from MCAS Quantico via Norfolk, VA, 1975. 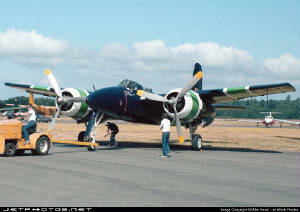 Yankee Air Force Museum, Willow Run, MI, 1988-1989. Planes Of Fame Museum, Chino, CA, 1990-2007. 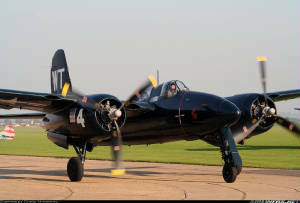 - Displayed in unrestored condition, in original scheme as Marines/382. Kreitzberg Aviation, Salem, OR, 19??. Johnson Flying Service, Missoula, MT, 1963. - Flew as tanker #F16 (later #16). TBM Inc, Tulare, CA, 1969-1978. - Flew as tanker #E62. Harold Beal/On Mark Aviation, Knoxville, TN, Nov. 1978. 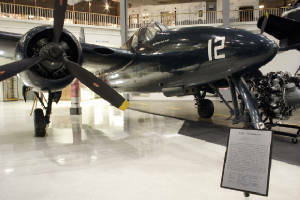 Preston Parish/Kalamazoo Aviation History Museum, Kalamazoo, MI, Mar. 1980. Air Training Inc, Knoxville, TN, Jan. 1981. - Registration N700FM reserved but not taken up. 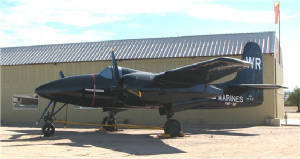 Kalamazoo Aviation History Museum, Kalamazoo, MI, 1981-2006. - Delivered from Knoxville, Mar. 1985. Cal-Nat Airways, Grass Valley, CA, 1963-1969. - Flew as tanker #E42. Sis-Q Flying Service, Santa Rosa, CA, 1969-1984. Macavia International Corp, Santa Rose, CA, June 1985-1986. 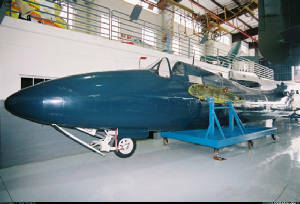 Weeks Air Museum, Tamiami, FL, 1986-2002. 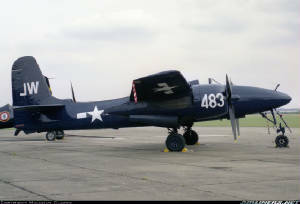 - Displayed in USN scheme. Fantasy Of Flight, Polk City, FL, 2004. Cal-Nat Airways, Grass Valley, CA, 1962-1969. - Crash landed after gear collapse, Grass Valley, CA, Aug. 31, 1962. Sis-Q Flying Service, Santa Rosa, CA, 1969-1972. Weeks Air Museum, Tamiami, FL, 1988-1990. - Stored disassembled, Borrengo Springs, CA, 1988-1989. 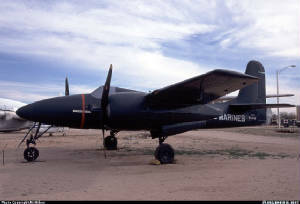 Pima Air & Space Museum, Tucson, AZ, 1991-2002. - Flew as tanker #E59. - Crash landed, Ukiah, CA, July 1966. - Stored at Santa Rosa, CA, 1972. Planes of Fame East, Eden Prairie, MN, 1991-1992. - Restored at Chino, CA, 1992. Palm Springs Air Museum, Palm Springs CA, 2001-2002. 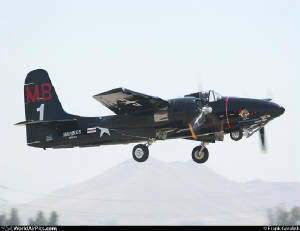 - Flown as USN 80411/BP7/King of the Cats". - Flown as tanker #F17 (later #17). TBM Inc, Tulare, CA, 1969-1979. - Flew as tanker #E64. Military Aircraft Restoration Corp, Chino, CA, 1982-1996. 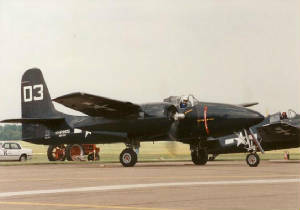 - Loaned to Combat Air Museum, Topeka, KS, 1992-1996. The Fighter Collection, Duxford, UK, June 1996-2002. 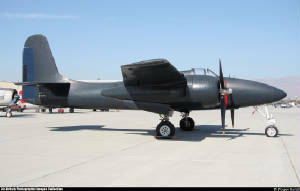 - Rebuilt by Steve Hinton, Fighter Rebuilders, Chino, CA. Cal-Nat Airways, Grass Valley, CA, 1964-1966. - Flew as tanker #E43. Sis-Q Flying Service, Santa Rosa, CA, 1969-1985. Macavia International Corp, Santa Rosa, CA, June 1985-1986. Weeks Air Museum, Tamiami, FL, 1987-1988. - Stored Santa Rosa, CA. Lea Aviation (US) Inc, Tampa, FL/Duxford, UK, 1988-1993. - Arrived Duxford, Nov. 13, 1988. 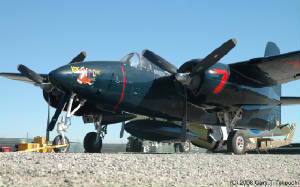 - Operated by Plane Saling Air Displays. Richard Bertea, Chino CA, 1993-2002. TBM Inc, Sequoia, CA, 1960-1980. - Stored dismantled in hut, Sequoia, CA, 1973. 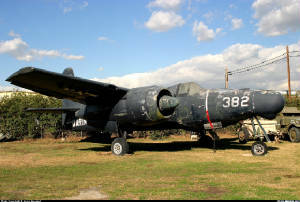 Lone Star Flight Museum, Galveston, TX, Jan. 1989-2002. - Rebuilt at Fort Collins, CO, 1988-2002. - Flew as Marines 80503/RW/Big Bossman. Monique Ltd, Carson City, NV, 2003-2004. - Flown as Marines 80503/RW/Big Bossman. George Kreizberg, Salem, OR, 1963. Sis-Q Flying Service, Montague/Santa Rosa, CA, 1963-1974. - Flew as tanker #E32 (later #E40). Gary H. Flanders & Mike Bogue, Oakland, CA, Aug. 1979-2002.